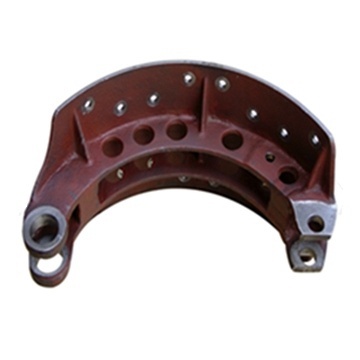 Our company in the production of Austempered Ductile Iron (ADI) products and high-grade ductile iron products, mainly for heavy-duty vehicles, railway equipment, weapons industry and other supporting manufacturers. After years of development and production, the company has ductile iron production and process leading technology, can produce various grades of ADI European EN1564 - 97, ASTMA897/A897M - 06 American Standard (ADI) of the product, the ADI (ADI) heavy automobile steel plate spring support and Benz heavy automobile accessories for many years, supporting the capacity of 3000 tons, has successfully replaced imported products, greatly reduces the cost of loading. The company for the North Pennines heavy truck accessory products, 200 kinds of Ingersoll Rand cylinder and head production picks ADI products, Germany Jost Beijing Great Automotive Components Company Limited production of ADI gear, the Australian company Airroad supporting the production of large and heavy vehicle rear suspension system ADI (weight 250kg) and Changan heavy duty truck supporting the production of ductile iron products amounted to more than 200. Products are more than four hundred. The company for five consecutive years by Baotou beiben heavy duty truck Co., an excellent supplier, is the sole supplier of 99 tanks China casting products factory designated weapon industry company 617. Since 2011, the development of company and focus on the export of ADI products, products to enter the world class company Dana Dana Holding Corporation and Paccar Inc, paccar America mylch Meritor companies such as supporting system, the current supply of nearly 10 varieties of products, supply in about 200000. 2005-2008, ADI inventor of Finland University of Helsinki professor Martin casting laboratory with our company for technical cooperation for three years, the optimization of Austempered Ductile Iron Casting and heat treatment process is better. At present our company is the domestic advanced austempered ductile iron production technology manufacturers. The company is the national ADI Technology Center identified as "ADI production base".